The SMP Tone Grenade uses a 12AU7 tube for a clean boost all the way up to a mild bluesy overdrive. This pedal will add that 'tube tone' to any solid state amp and gives additional rich harmonics. 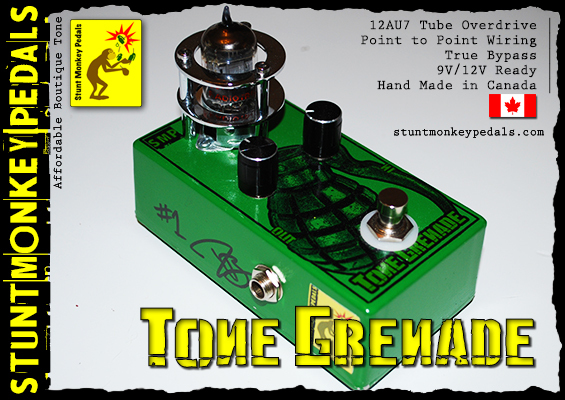 Nothing fattens up your sound like a Tone Grenade! You can use any 12AU7 tube (valve) in this pedal; replacements can be ordered from Stunt Monkey Pedals.